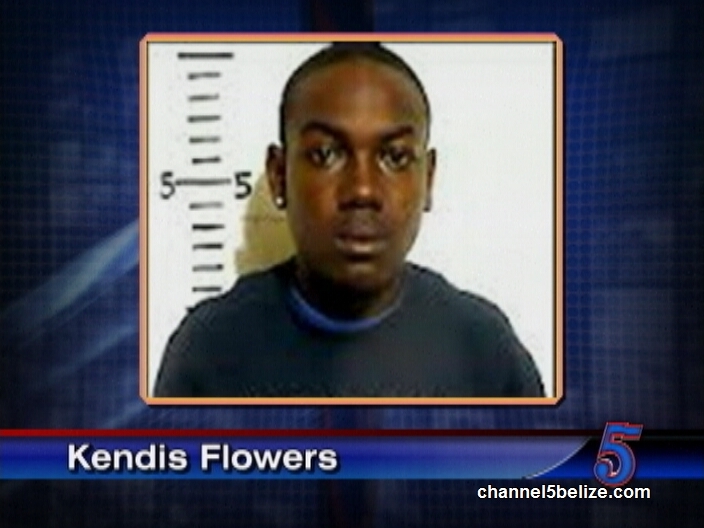 Thirty-seven-year-old Roger Anthony and twenty-three-year-old Kendis Flowers were arraigned this morning in the courtroom of Magistrate Herbert Panton on a battery of firearms-related offences. 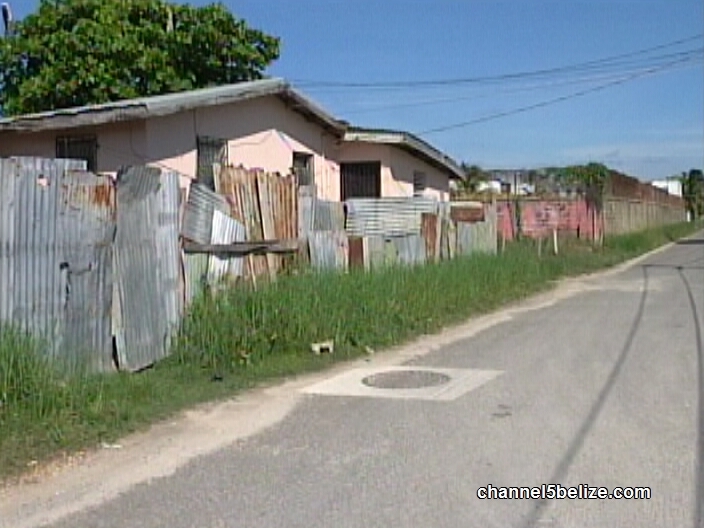 The charges stem from a shooting incident on Sunday night in Belize City. 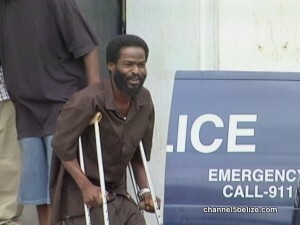 Anthony, the reputed boss of the Ghost Town Crips, was transported from the Queen Street Precinct to magistrates’ court in a pair of crutches. According to his common law wife, who spoke off-record, Anthony fractured a bone beneath the heel of his foot sometime after the incident. 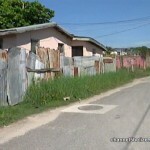 Shortly after ten p.m. on Sunday, Shelly Meighan, the mother of siblings Tyrone, Shaquille and Ellis Junior, all with alleged ties to the same gang, reported hearing what appeared to be a barrage of gunshots outside of her Banak Street residence. She would soon after realize that those shots had been fired at her bungalow. While no one was injured during the shooting, a glass louver was reportedly damaged. 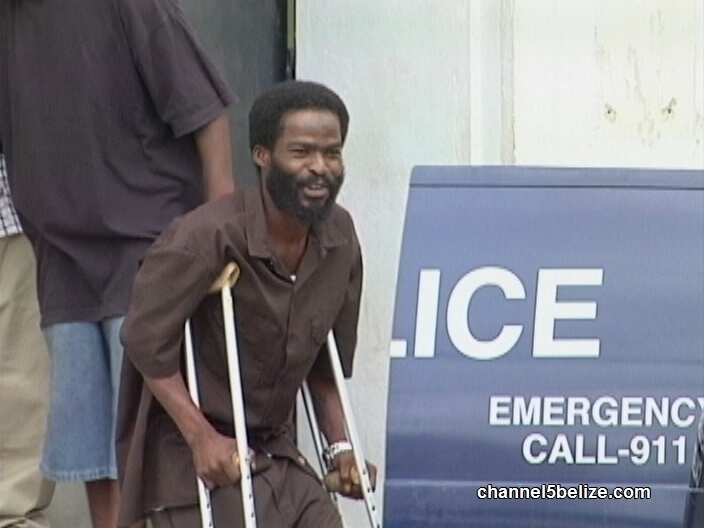 Police, in a release issued to the media on Monday, stated that quick response led to the detention of Anthony not far from where the gunfire erupted. 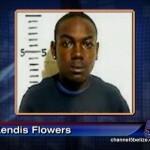 In his possession was a nine millimeter handgun. Police were also able to retrieve four expended shells from the scene. Anthony’s common-law wife however, refutes the official report that he was nabbed in the immediate vicinity. According to her, he was detained near the corners of Zericote and Vernon streets, several blocks away from the Meighan residence. In court this morning, both men were charged for the crimes of Attempted Murder, Aggravated Assault and Damage to Property. The arraignment of Anthony comes two weeks after he publicly repudiated his affiliation to the Mayflower Street gang, in the presence of GSU Commander Mark Flowers. Anthony has been closely linked to its leadership for over two decades. The family of Flowers, who was picked up on Monday by personnel from the GSU, refutes the allegation that he was involved in the shooting. 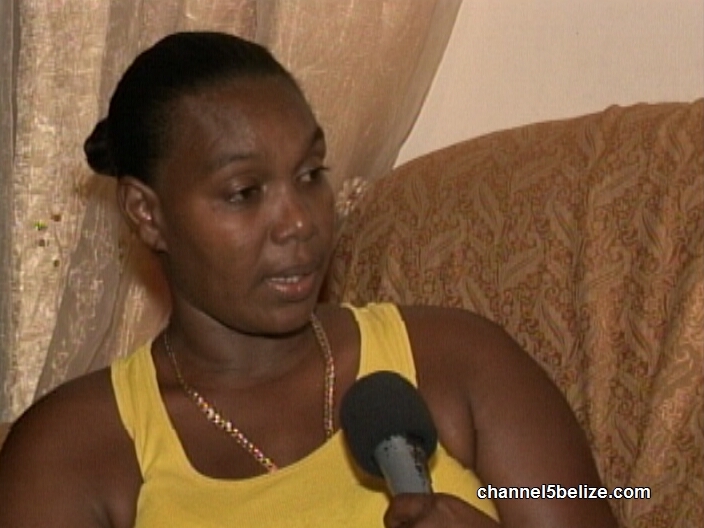 Late this evening, Sharmaine Stuart told News Five that her son was in front of their yard socializing with friends at the time of the shooting. The Meighan family contends that their residence has been targeted twice in the past by Anthony.